Lilly Apio is a widow living in Oyam, Uganda, where she cares for her own two children and two orphans she has taken into her family. To provide for their daily needs, Lilly brews and sells a local beverage called Lira Lira. The business is competitive, and Lilly sought a way to expand her venture but lacked the resources to make any sweeping improvements. Lilly found the solution to her business struggles when she was listening to the radio and learned about Opportunity International. With encouragement from her friends, Lilly completed financial literacy training and received her first loan. She used her loan to purchase millet and maize for the brewing process. With a much greater supply of ingredients, Lilly can keep up with demand and is able to serve all her customers. Now, her business is expanding, and Lilly has even hired someone to help her run the business! 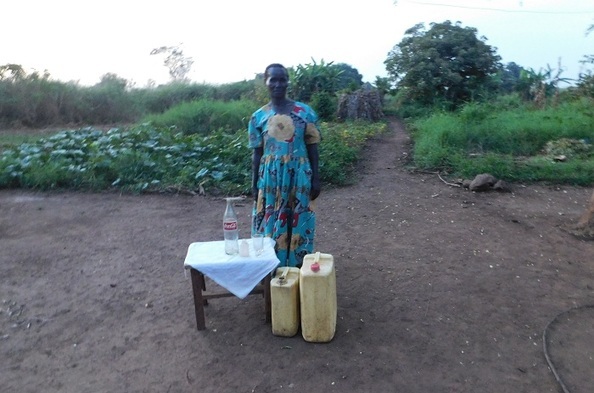 Lilly is able to pay her children's school fees while ensuring there is food on the table. Lilly's dream is to build a sturdy house for her family and begin raising cows to diversify her income.